Author Michael Pollan has a great quote that goes, “Don’t eat anything your great-grandmother wouldn’t recognize as food.” This is so relevant to the food landscape we modern folks are faced with these days. Take, for example, something like gummy bears. Are they edible? Yes. Are they food? Well… they’re food-like. So many of the “foods” we consume are processed to the point that they don’t nourish our bodies in the ways that food should. In fact, many of them contain artificial ingredients that can be quite harmful. Here are a few that you might want to stay away from. Eating meat and animal products is not always bad. Of course, there are many people who choose not to eat them because they feel healthier on a plant-based diet, or for other, personal reasons. But high-quality, free-range and grass-fed meat can be a healthy part of your diet. However, deli meats contain nitrites, because food manufacturers use sodium nitrite to cure the meat, and to prevent the growth of bacteria. When combined with the amines in the meat, nitrites create nitrosamines, which, it is believed, may be carcinogenic. 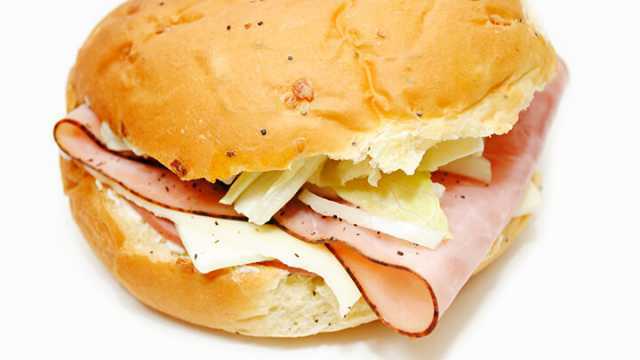 Also, deli meats tend to be very high in sodium, which can have negative health effects, as well. Over the last few decades, many of us have been made to believe that the fat in dairy products is unhealthy. But recent science is beginning to suggest that this may not be the case. Quite the contrary, actually – in reality, it’s reduced fat dairy that you want to steer clear of. Reduced fat dairy products often contain artificial ingredients that mimic the texture of fat. And, especially with products like yogurt, they tend to contain a lot of sugar, to make up for the flavor lost when the fat was removed. What’s more, a Harvard study found that women who consume one or more servings of low-fat dairy products each day have an increased risk of infertility. Again, due to the idea that dairy fat is “bad,” products like margarine, which is a vegetable oil made into a solid state through the process of hydrogenation, are healthier options. It comes from vegetables, it must be better, right? Not exactly. 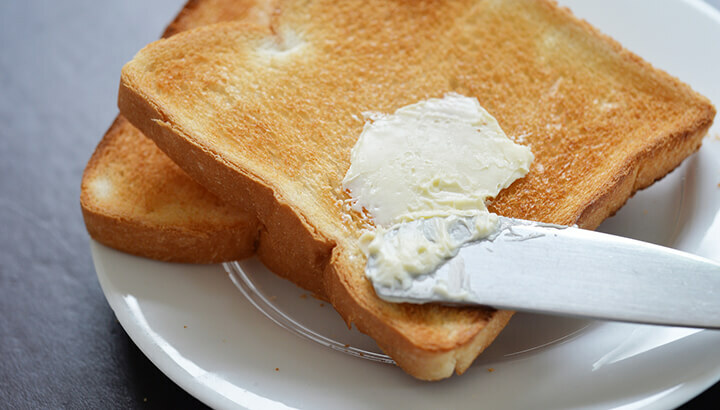 The problem with margarine is that it contains trans fat – the result of hydrogenation. And trans fats are associated with an increased risk of heart attack. Margarine is also thought to lower HDL (good cholesterol), raise LDL (bad cholesterol), and increase your risk of diabetes. We all know that soda is high in sugar – most often in the form of high fructose corn syrup. And too much sugar can increase your risk of obesity, diabetes, and other conditions. Soda also contains artificial flavors and colors, which are thought to be associated with a range of negative health effects. Soda is believed to be linked to heart disease, reproductive problems, kidney issues, asthma, and the dissolving of enamel on the teeth. As many point out, the increase of HFCS consumption on a societal level generally corresponds with an increase in obesity and diabetes. To much sugar in the diet can also lead to metabolic syndrome, high triglyceride levels, and an increased risk of heart disease. In addition, while more research is needed in this area, many believe that, given that HFCS is a highly refined product, the body might process it differently from other sugars, which could lead to additional health complications. You may be thinking, if HFCS is so bad, maybe an artificial sweetener would be a better option. Unfortunately, that’s not the case. Aspartame, for example, may be linked to an increased risk of cancer. The science here is not definitive, and the FDA maintains that there is not an association. However, there is some research suggesting that aspartame might be linked to a higher risk of certain cancers. MSG has gotten a bad rap – and for good reason! 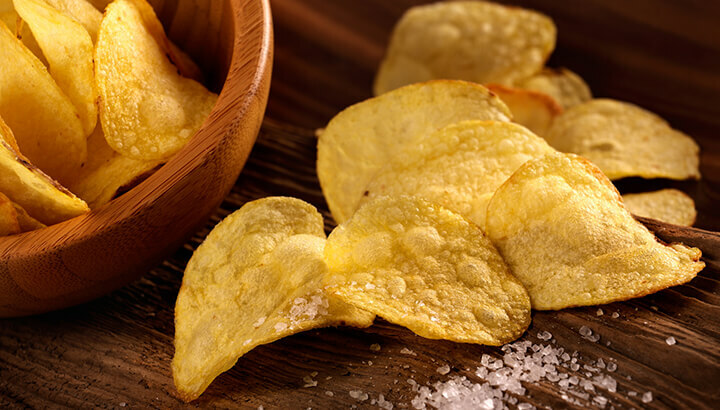 But what many of us may not realize is that, despite the fact that we know it is associated with a number of health conditions, it is still present in many foods, including boxed chicken broth, cheese spreads, potato chips, and more. Incredibly, it can even be found in some baby foods. So what does MSG do to your body? It is an “excitotoxin” that excites your cells to the point of damage. This can even cause brain damage, trigger or exacerbate learning disabilities, and some believe it may be linked to an increased risk of Alzheimer’s, though more research is needed. You’ve probably heard that refined carbohydrates are less healthy than whole grains. That’s the case largely because the fiber found in whole grains is stripped from refined carbs. And that impacts the way your body processes them. As a result, refined carbohydrates like white flour can increase your risk of weight gain, obesity, and diabetes. In addition, gluten is inflammatory, and a diet high in gluten is sometimes thought to be linked to health risks associated with inflammation, as well as digestive issues. It would seem to make sense that fruit juice would be healthy. After all, we know that fruit has a wide range of health benefits. And we often hear about people going on juice cleanses and detoxes. But the kind of juice found at most grocery stores is not healthy. Most of it is heat pasteurized, which many believe strips the juice of many of its nutrients. Also, much of this juice contains added HFCS and food coloring. So really, when you buy commercial fruit juice, you’re just buying sugar water. Instead, look for juice that has no added ingredients, does not come from concentrate, and preferably is unpasteurized (checking out a local juice bar is probably your best bet for juice that has not been pasteurized). We all know that the marshmallow-laden cereals we at as kids aren’t healthy. But others — those that contain whole grains, for example — are definitely touted as health foods. But that’s simply not the case. 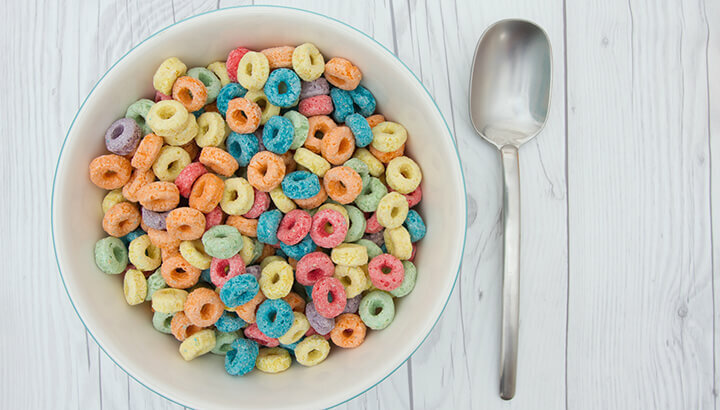 For starters, most cereals are loaded with GMOs, especially those containing corn. Also, cereals are put through a process called extrusion to give them their shape — that’s how the grains are shaped into Os and puffs. But extrusion strips the grains of most of their nutrients and denatures the fatty acids, making the cereal essentially toxic. Not to mention the fact that most cereals contain a host of artificial ingredients, and most of the cereals that contain whole grains also contain refined grains. It can be a challenge to navigate our contemporary food landscape. And many of the foods that are marketed to us as being healthy are anything but. A good rule of thumb is just to eat real food. If it’s processed, skip it. This one tip will take you a long way toward a healthier lifestyle. Hey Buddy!, I found this information for you: "10 Modern “Foods” That Are Killing Us Slowly". Here is the website link: https://www.thealternativedaily.com/modern-foods-that-are-killing-us/. Thank you.